As it's the last day of the month, you get a little extra STAMPlorations inspiration. Today I've used my Brew-Tiful Day set, along with the large flower from Becca's new set, Sweet and Sassy Mom. 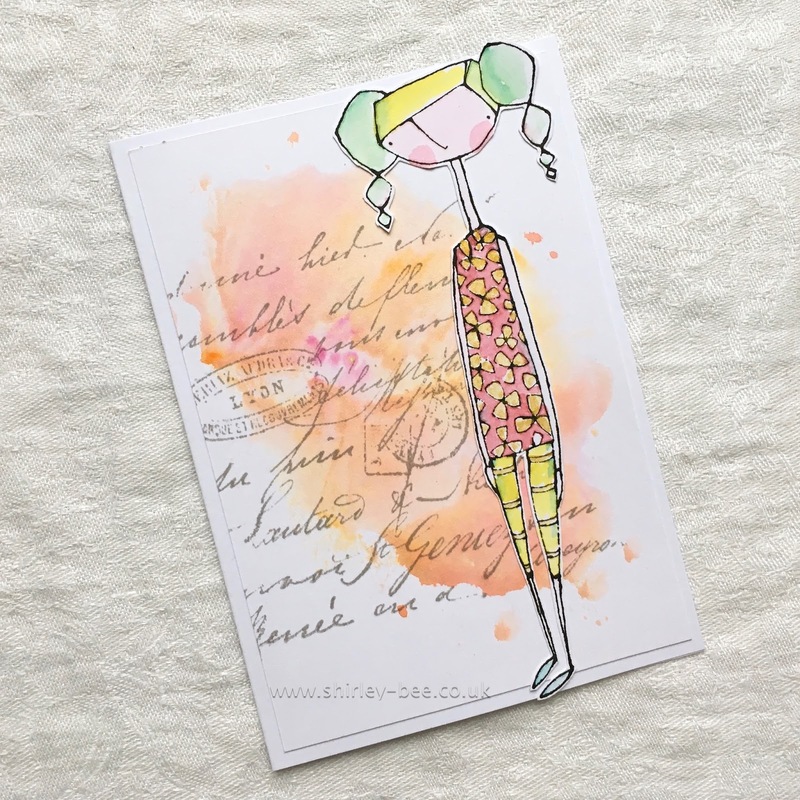 My card was totally inspired by this card by Helen Gullett. I loved how the sunflower dominated the cup, so I thought I'd do something similar. The large flower from Becca's set fit perfectly (I made a negative mask for the cup). 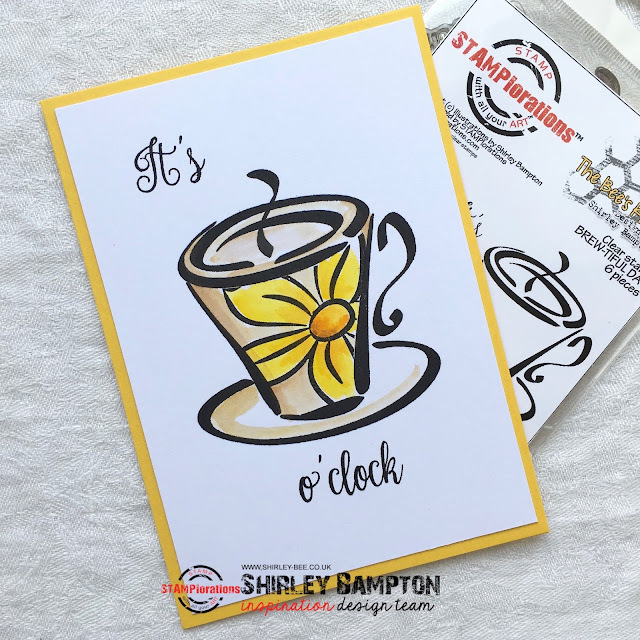 Pop on over to the STAMPlorations blog for more inspiration, and don't forget to leave a comment for your chance to win a $10 gift voucher to the store. 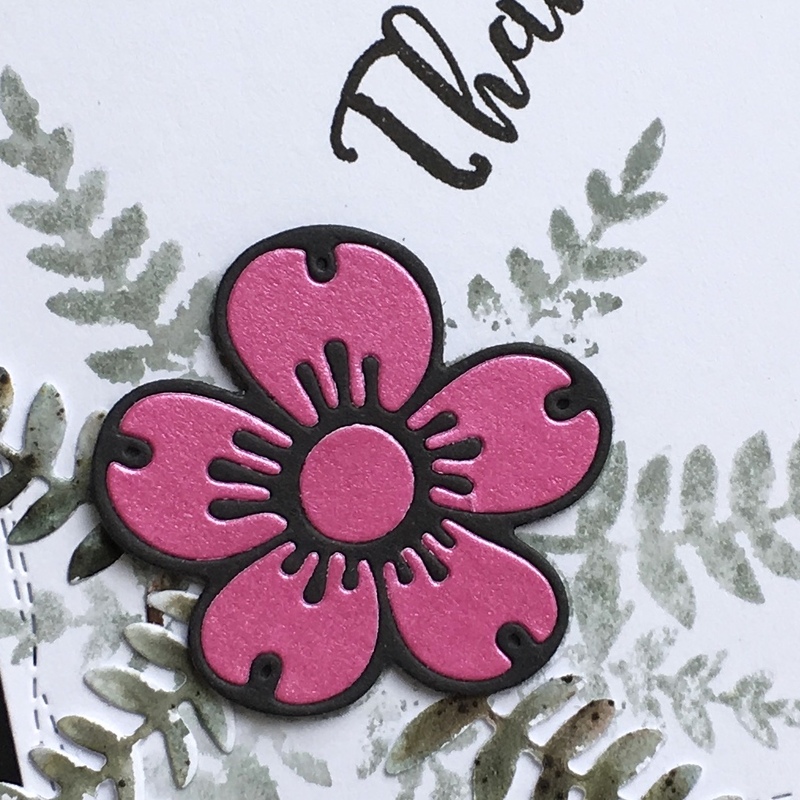 Don't forget to use my code STAMPGIRLSHIRLEY when you're shopping there to get an extra 20% off stamps, stencils and dies. 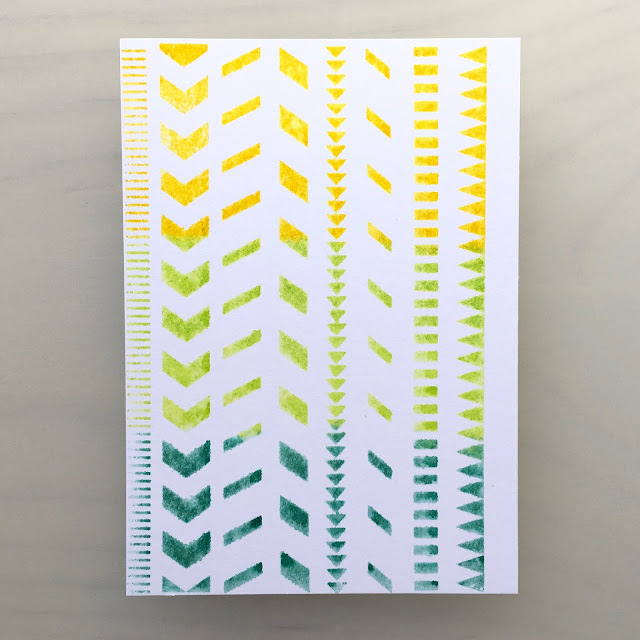 This week I've been playing with the Scenery: Stripes 2 stamp set. I wanted to make patterned backgrounds, so I started by transferring the stamps onto a large acrylic block, and kept them pretty much in the order they appear on the stamp sheet. 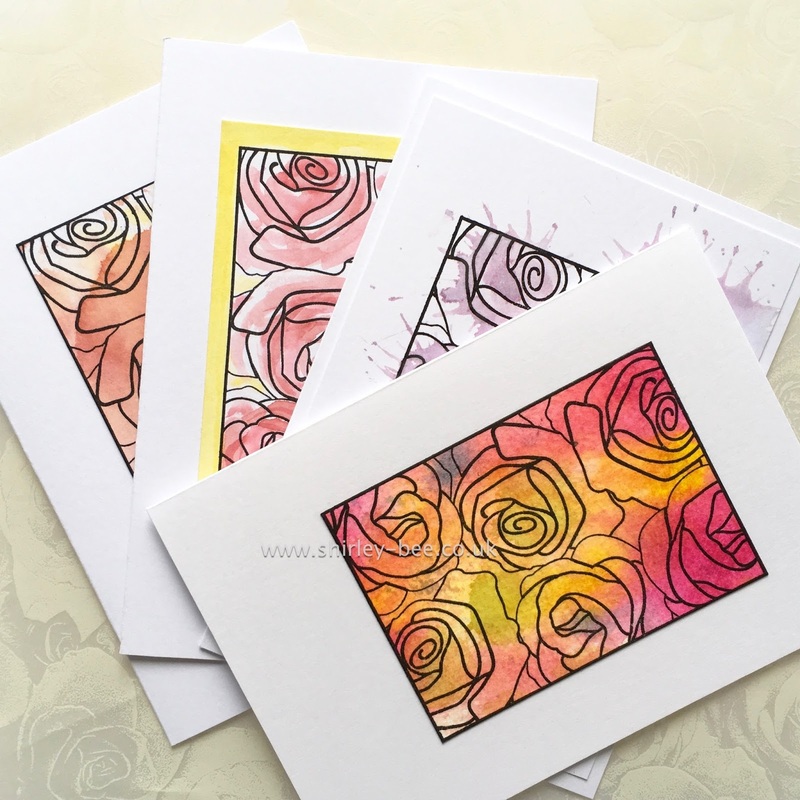 I grabbed three Distress Inks (Mustard Seed, Twisted Citron and Evergreen Bough, then inked, spritzed and stamped. Spritzing gives a loose watercolour effect to the images, which is what I like! The first one I left as is. The second one I re-inked the stamps in the same order, rotated the card 180 degrees and stamped so that the pattern reversed. The third one I inked in Versafine Onyx Black, deliberately not getting full coverage so that it didn't completely dominate (it's going to be a background after all), then offset stamped. The fourth one I inked in Versafine Onyx Black, again keeping the coverage grainy, rotated the card 180 degrees and stamped. Ok, so now what should I do with them? As they stand they don't look too promising, but as soon as you lay images on top of them, the strong patterns recede into the background as your eye focuses on the foreground. 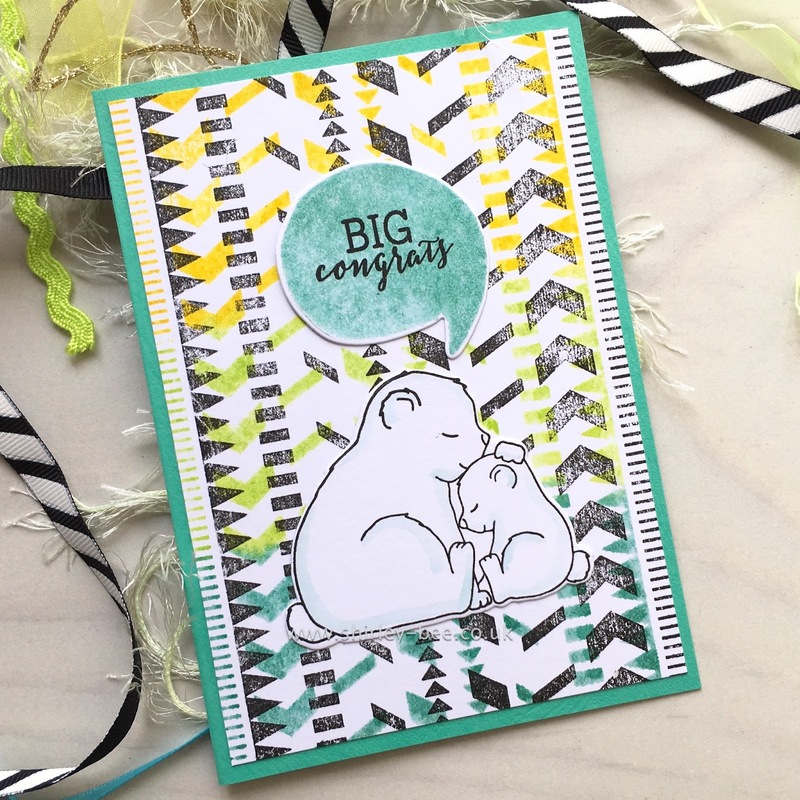 Cue some cute pairs of creatures from Big Hugs With Evelin T Designs, and some fab sentiments and speech bubbles from Sketchy Thoughts. 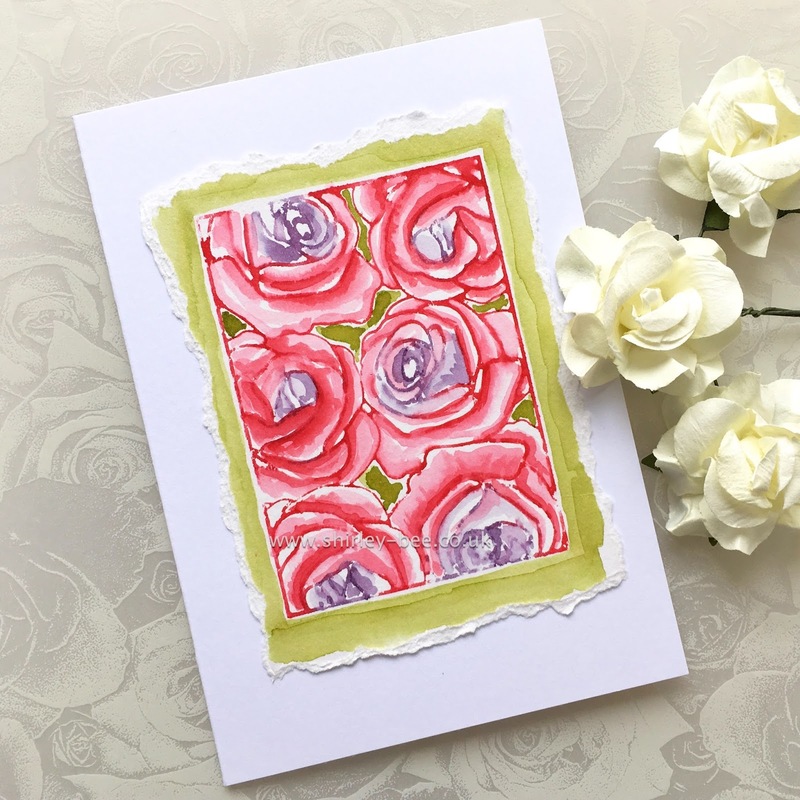 And the co-ordinating cutaways, Big Hugs with Evelin T Designs Cutaways and Sketchy Thoughts Cutaways made it really easy to pull these cards together quite quickly. Each panel was trimmed first to fit my base card. So, first off the block were the giraffes, watercoloured with the same palette of Distress Inks. I used Memento Teal Zeal for the bubble to get the granular effect of the speech bubble to show. Here's the second card. Again, I used colours from the same palette for the animals. When you use a limited colour palette it doesn't matter that animal or people colours are unrealistic. In fact, it helps to give cohesion to your design. For card No. 3 I chose to go with a coloured base card for a more vibrant look. I stamped the speech bubble with Distress Ink, and you can see that the definition of the image is lost, but you get an overall graininess instead. I added the minimum of colour to the elephants - just a hint of shading - to balance out the background patterns and the speech bubble. On this final card I spritzed the Distress Inked speech bubble before stamping, which gave a smoother coverage. On this card and the previous card I kept the darker colour to the bottom so that it could ground my images. Well, that's it from me as Leading Lady for April. I hope you've enjoyed my performances and I hope they've inspired you in some way. 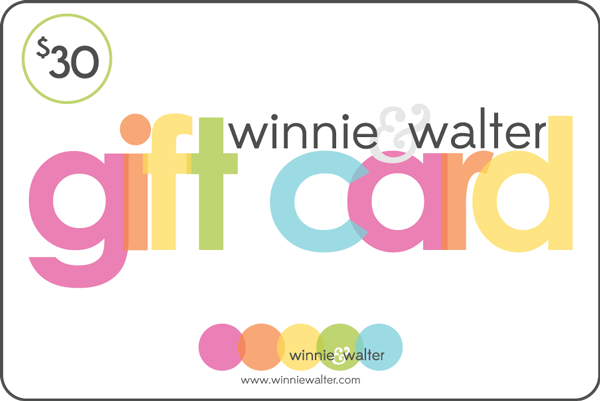 I'd like to thank Shay for allowing me to hog the spotlight for the last five Saturdays, and for her generosity in donating a $30 gift card to the Winnie & Walter store to give a way on my blog. And if you want to be in with a chance of winning it, all you have to do is leave me a comment on my blog post. To be in with FIVE chances of winning, make sure you've also left a comment on my first post here, my second post here, my third post here and my fourth post here. You don't have to leave a comment on all five posts to be eligible, but you'll increase your chances of winning! And while we're loving the love you're leaving on the W&W blog, they don't qualify, so you do need to comment on my posts. The winner will be chosen randomly from all comments left over the five posts by midnight Wednesday UK time, and I'll announce the winner on my blog on Thursday. Good luck! 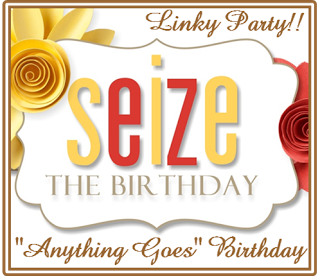 Time for a new challenge at Seize The Birthday, and it's an easy one for you - No Topping, so anything goes as long as it's a birthday creation. 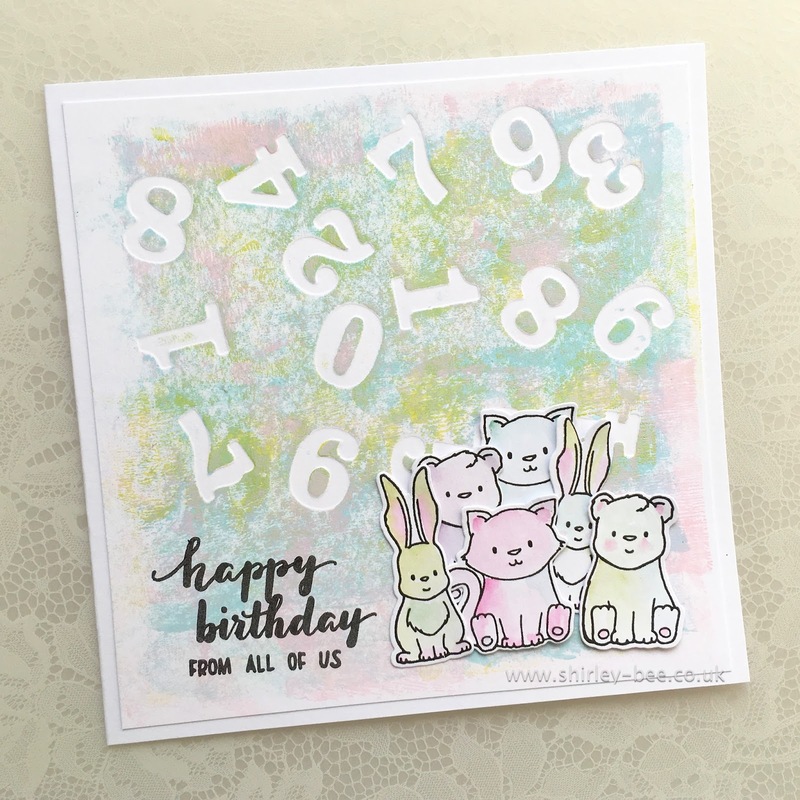 Pop on over to the Seize The Birthday blog for some more fabulous inspiration from the rest of the design team, and from our surprise party guest, Anita Bowden. 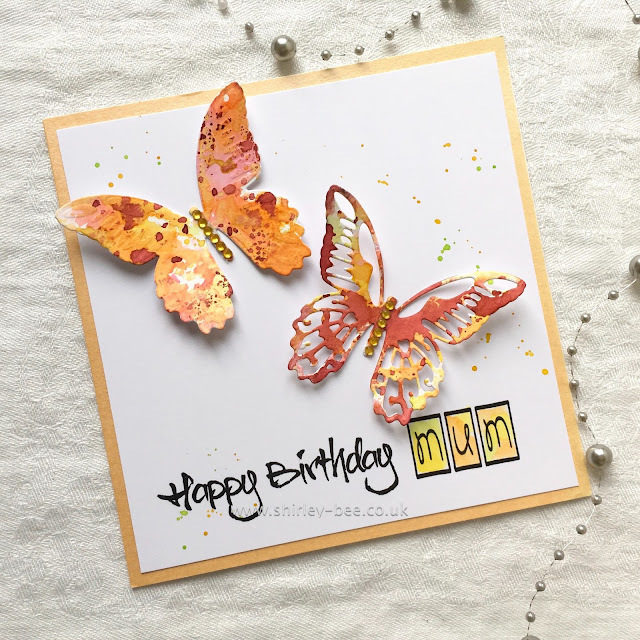 I've used butterfly dies from Tim Holtz, Happy Birthday from Visible Image, and mum from Woodware, and gems for the bodies. The diecuts were dipped and smooshed in Distress Inks. And there's a bit of splatter on there too. 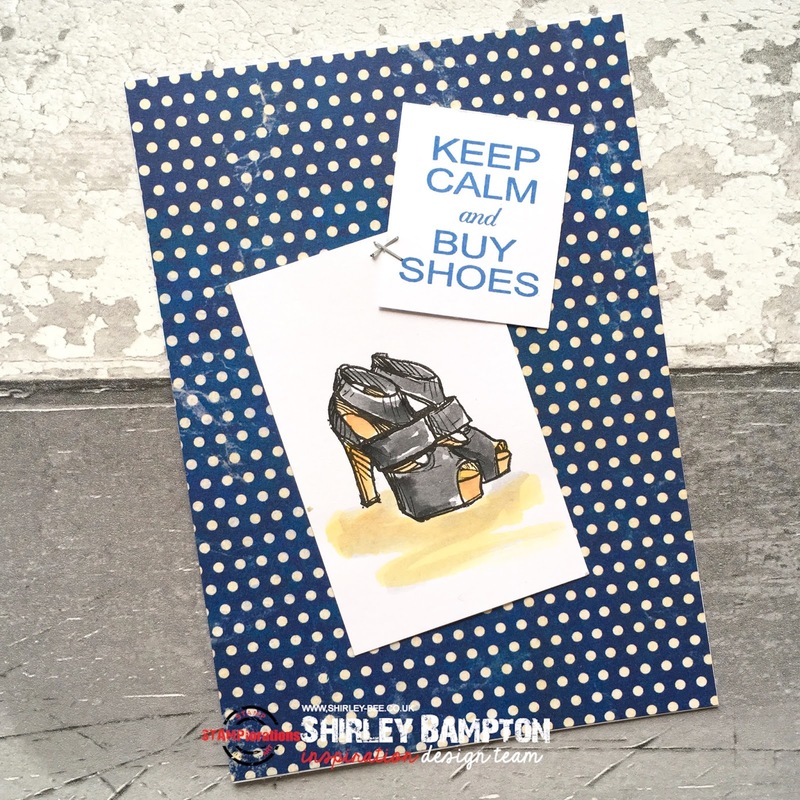 I'm adding my card to Simon Says Wednesday challenge - Anything Goes. 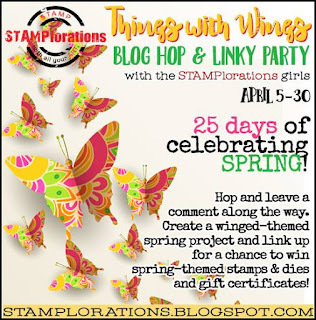 It's our final reminder for you the Things With Wings blog hop and linky party at STAMPloprations, so if you haven't played along yet, get your skates on! 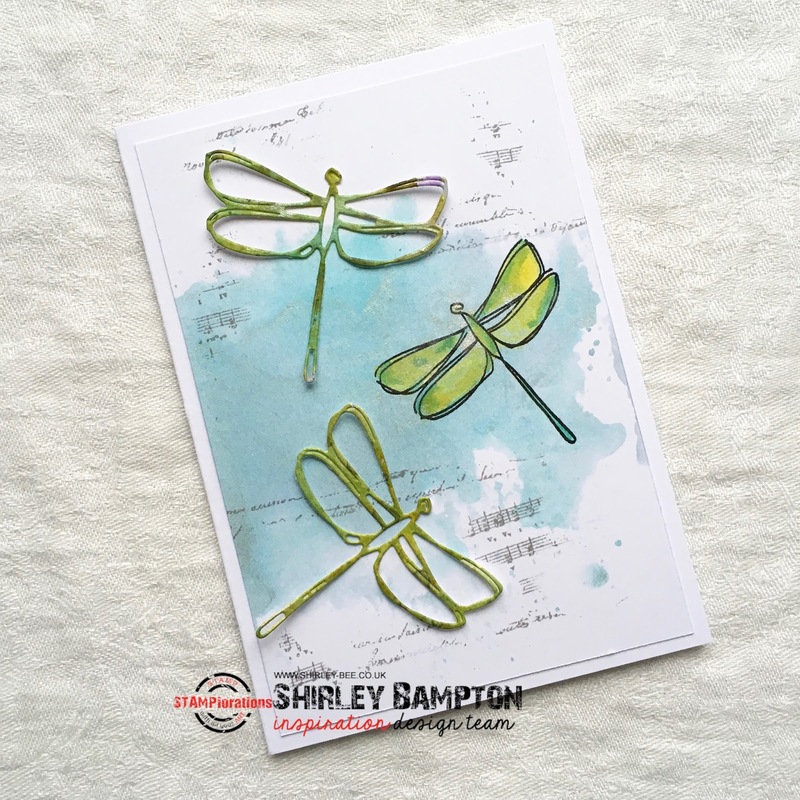 I've used the Dragonfly Layering Dies, which coordinate with the Winged Things stamp set. I stamped one dragonfly and used two diecuts. 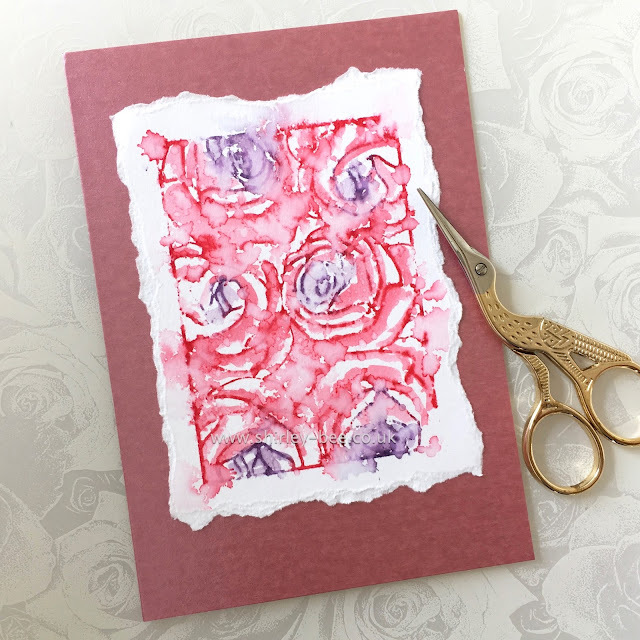 The background is smooshed Distress Ink with a bit of grunge stamping, courtesy of Scribbly Splattery Grunge and Mixed Media Elements. Pop on over to the STAMPlorations blog for our final burst of inspiration, then play along for your chance to win some fab goodies. It's Inspiration Tuesday at STAMPlorations, and today we're showcasing Shery's stamps. This week there's 10% off all Shery's stamps except Bloom Happy, which is 20% off (no coupon needed). 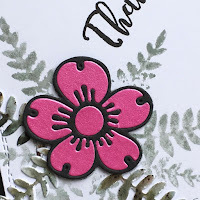 And if you use my code, STAMPGIRLSHIRLEY, you'll get an additional 20% off all stamps, stencils and dies in the store. I've been playing with the stamps from A Girl And Her Shoes, used the Tiny Attacher to staple them together, and adhered them to my layer of patterned paper (yay! another piece used). Hello, peeps! I'm having such a good time being Leading Lady at Winnie & Walter, and I really appreciate the comments you've been leaving me, both on my blog and the Winnie & Walter blog. So, here I am for Take Four. I'm fascinated by the Mini Scenery: Bed of Roses stamp, and I wanted to try different ways of colouring it. 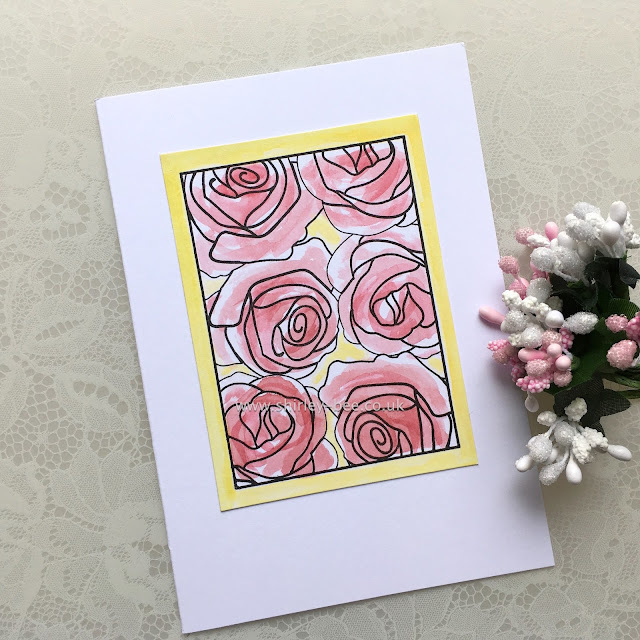 I suppose the most obvious way is to colour the actual flowers neatly inside the lines but I rarely colour neatly (on purpose - I much prefer to slosh colour around). Here are the results of my little play session. 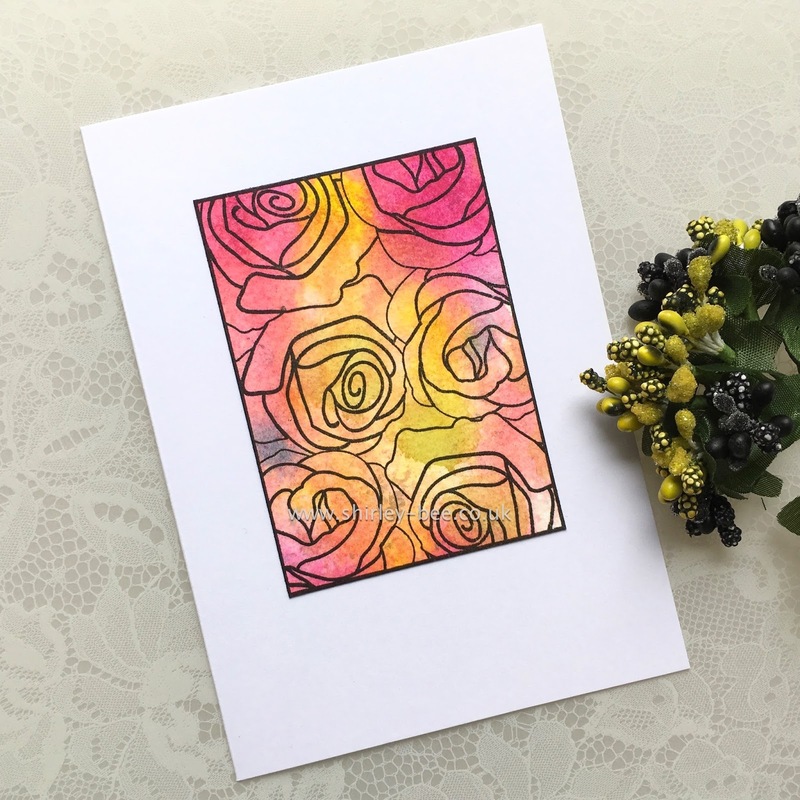 For my first card I raided my stash and found this piece of mixed media paper that had been coloured with various Distress Inks. I just stamped in Versafine Onyx Black onto the panel, not really worrying about how the image lined up with the colours. And to be honest, I don't think it matters, do you? I trimmed the panel, ran a black marker pen around the edges and mounted it onto white card. Another raid of my stash produced a panel that had been smooshed with Distress Inks. Again, I just stamped over it in Versafine Onyx Black, trimmed the panel and ran a black marker pen around the edges before mounting it onto white card. I think we'll call this next technique 'speed painting'! I stamped the image onto white card, diluted some Worn Lipstick Distress Ink onto an acrylic block, loaded up my paintbrush and sloshed the colour on very quickly, without trying to fill all the white space. I reloaded the brush and went over some of the areas again to get a deeper colour. The background and border is Crushed Olive, although it looks quite yellow here. I use a No. 4 round brush for all my Distress sloshing. So, what happens when you splat Distress Stain onto the roses? This! I wanted the splats to extend beyond the image frame, so some of the flowers got double splats. At that point, I thought I'd finished playing, but then I decided to ink the image with Distress Stains, stamp onto mixed media paper and pull the colour in with a wet paintbrush. 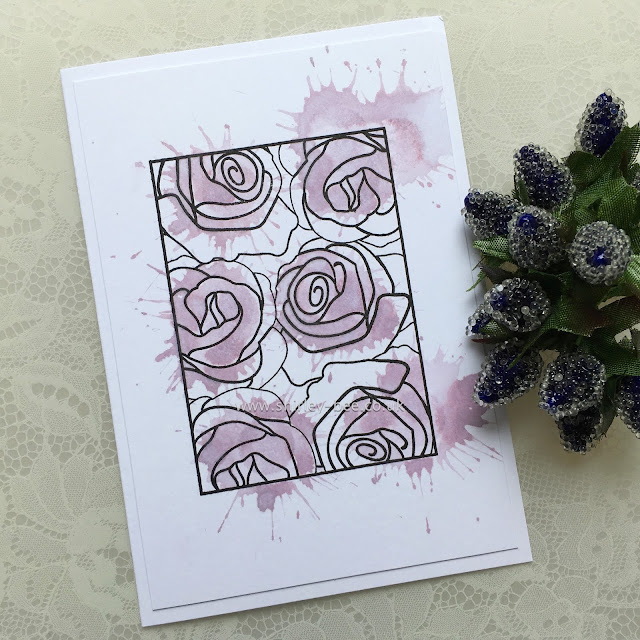 Distress Stains are juicier and more intense than Distress Ink, so there's more colour to work with than if you inked the image with a Distress inkpad. I used a clean paintbrush and water, then if I needed extra colour I just lifted it from the residue on the stamp. For my final card, I inked the stamp with Distress Stains exactly as I had on the previous card, stamped it onto mixed media paper, then spritzed water in stages until I got the effect I wanted: artsy (hopefully!). Well, I hope you've enjoyed my little experiments, and seen how to get more mileage out of one stamp. 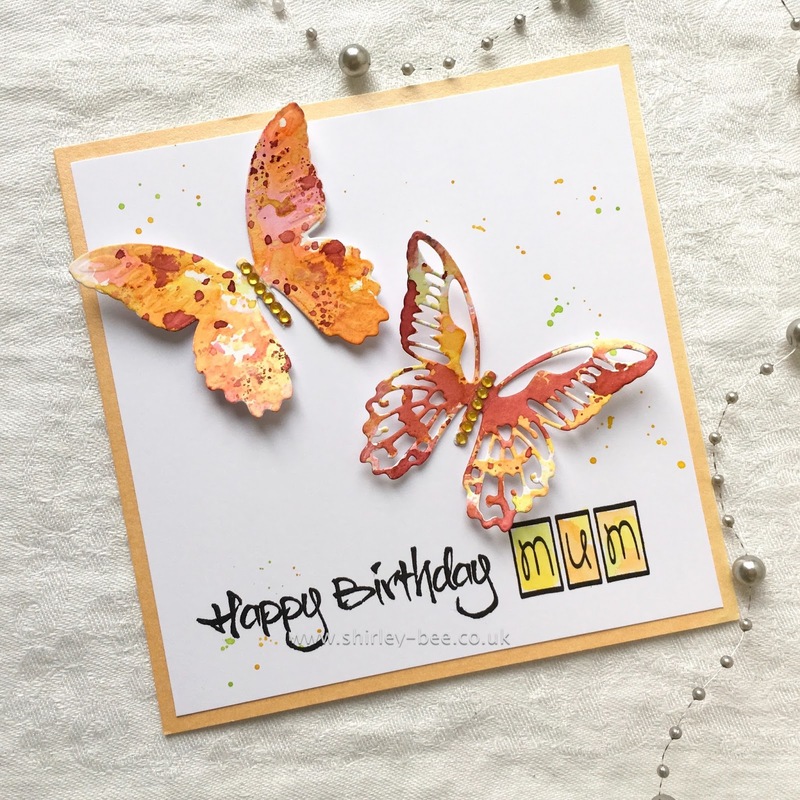 Maybe I've inspired you to try different ways of adding colour to your stamped images. Shay has generously donated a $30 gift card for me to give away on my blog. To be in with a chance of winning, just leave a comment on my blog (comments on the Winnie & Walter blog won't be included in the draw). To increase your chances of winning, make sure you've also left comments on my previous Leading Lady posts on my blog: Take One here, Take Two here, and Take Three here. I'll see you next Saturday for my final post. 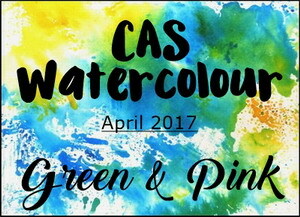 I've been trying to play along with the current CAS Watercolour challenge, but nothing I've been making lately has been pink and green. But I have a small stash of not-yet-blogged cards, so I had a peep through those and found this card. 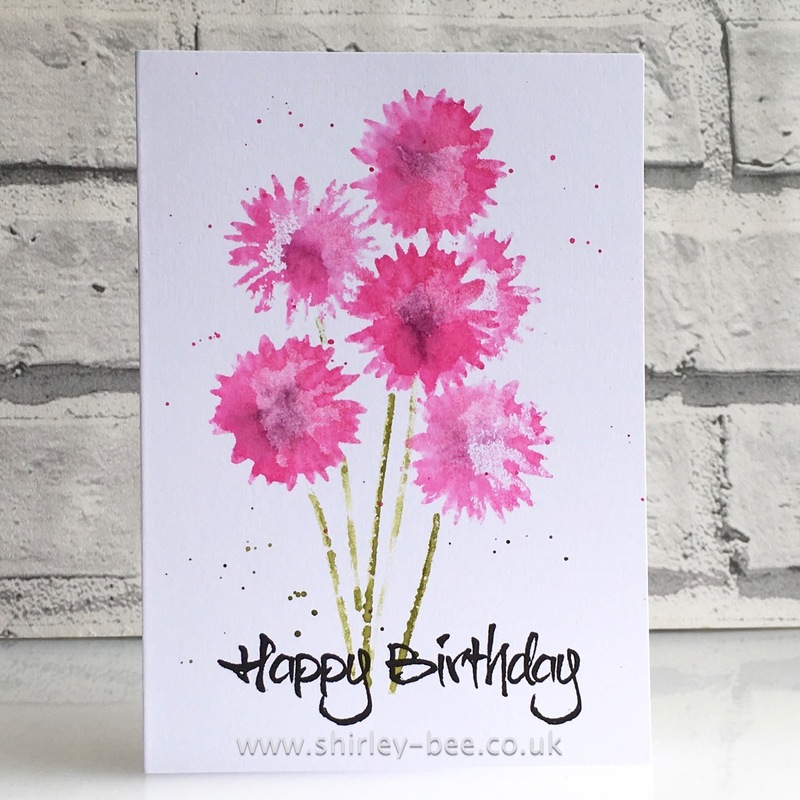 I've used a set from Visible Image called Happy Birthday, which includes the flower and stalk. Now for the culture. We had a little jaunt into Liverpool today because I wanted to see the Minton floor at St George's Hall. Most of the time this floor is covered to protect it, but every once in a while it's uncovered and you can pay a nominal amount to view it in all its glory. Today was the last day of viewing before it gets covered up for a few more years. Reputed to be amongst the world's finest encaustic mosaic tiled floors, the last time it was uncovered was in 2015 for filming the latest Harry Potter movie, Fantastic Beasts And Where To Find Them. Normally there's a wooden floor laid to the level of the side steps to protect the tiles. The outer walkway is accessible, but a lot of the colour has worn from those tiles. The mythical Liver Birds are depicted in the design. Ornate side doors. Anybody else see a smiley face? And now for the spotlight. I'm over on the STAMPlorations blog tonight with a spotlight on the evolution of a card. Here's a sneak peek. Are you playing along with the Things With Wings blog hop and linky party at STAMPlorations? You should be, because there's loads of fab prizes to be won. I've used the new Dragonfly Layering Dies - you get a solid shape die and an outline die, I've just used the solid shape die today. 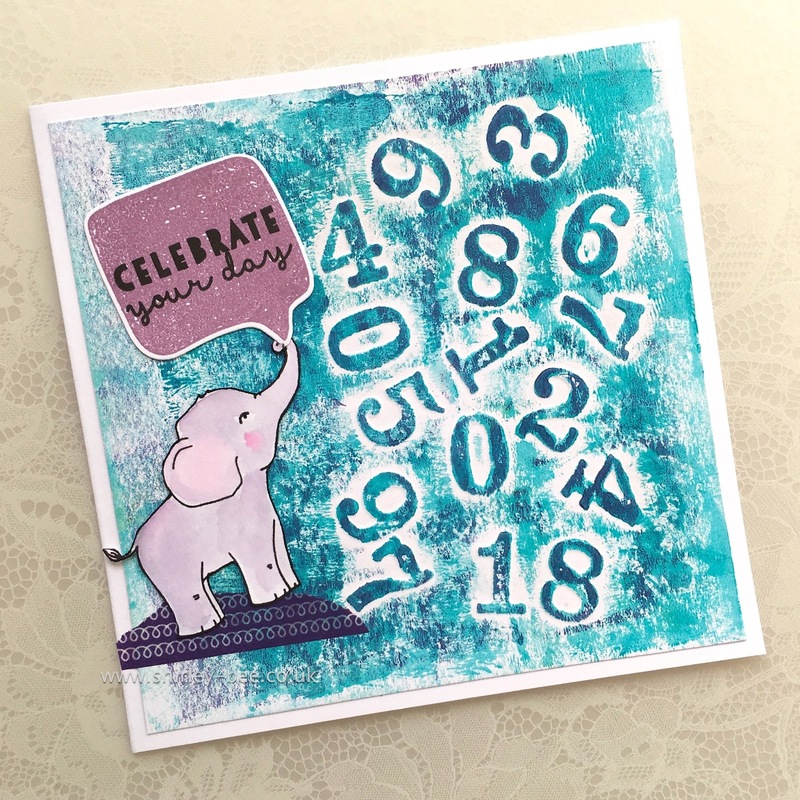 The background stamps are from the December 2016 STAMP Club set, Scribbly Splattery Grunge. Pop on over to the STAMPlorations blog for some more fabulous inspiration from the team, and play along to win. We've got more inspiration for you at STAMPlorations today. This week there's 10% off all Deepti's stamps, except Just Because, which is 20% off (no coupon needed). And if you use my code, STAMPGIRLSHIRLEY, you'll get an additional 20% off all stamps, stencils and dies. 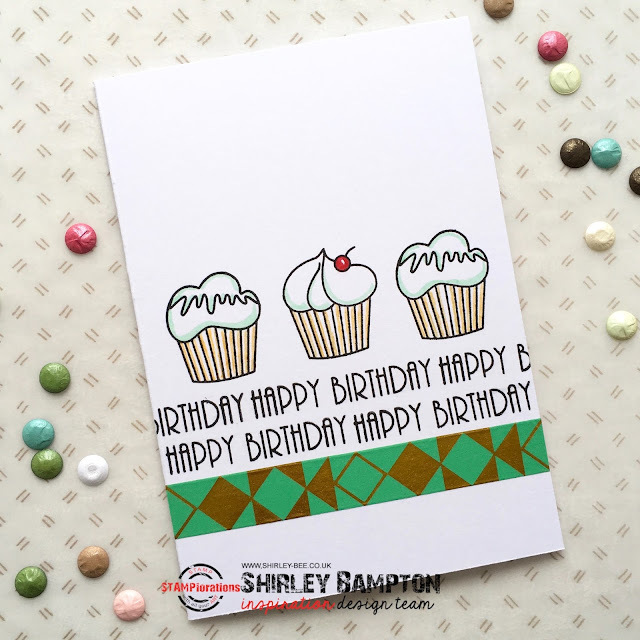 I've used these yummy cupcakes from Party Mates, and the sentiment from Balloons and Banners, with a strip of green and gold Art Deco washi tape. To complement the gold in the tape, I added some gold gel pen to the cupcake wrappers.. 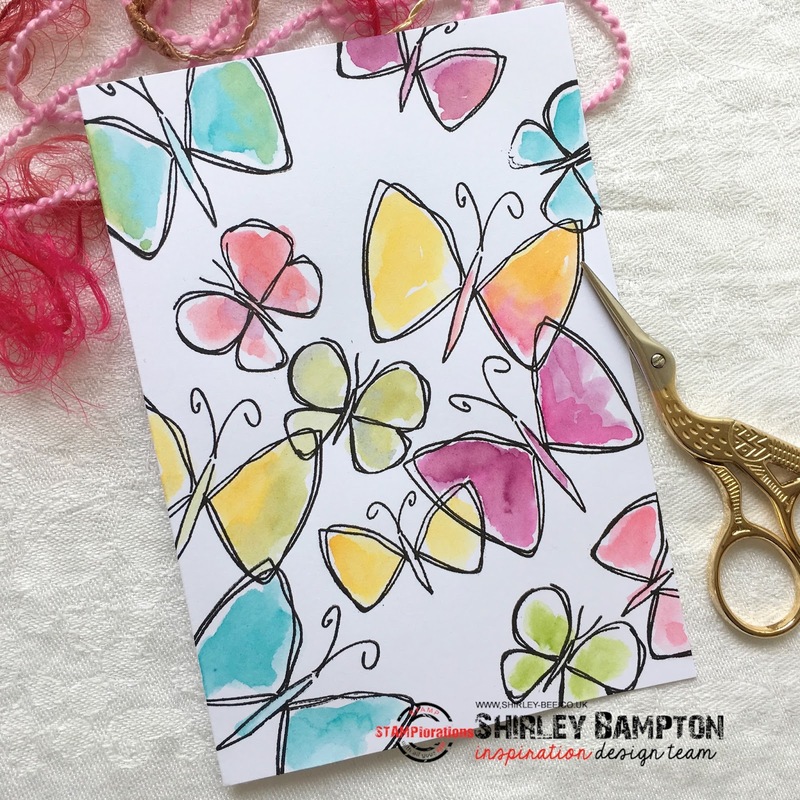 Pop on over to the STAMPlorations blog for some more fabulous inspiration from the team, and don't forget to leave a comment for your chance to win a $10 gift certificate to the store. Are you playing along with the STAMPlorations CUTplorations challenge? 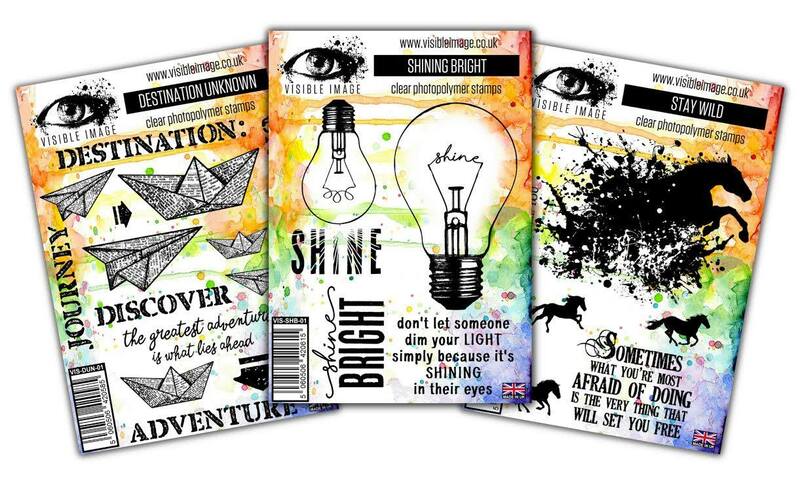 Look at that fun image, you can't fail to be inspired! My first card was coffee cups. Guess what my second card is? Yup, coffee cups. Well, coffee cup, to be precise. This is the Winter Mug, which I stamped, coloured with Distress Inks, complete with drips, then fussy cut. The hearts are from Two Of Us. 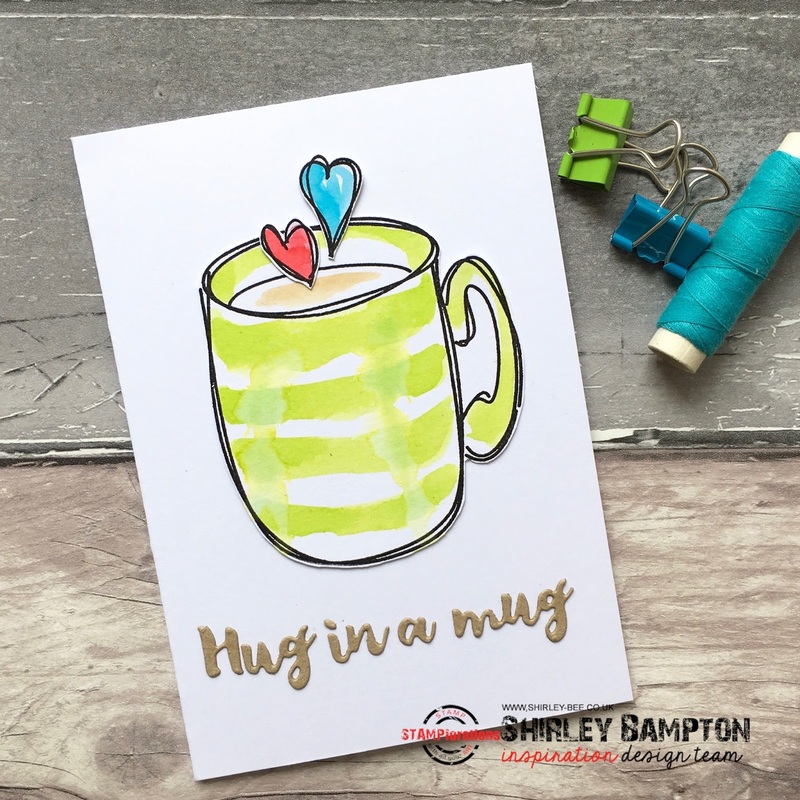 The Hug In A Mug phrase die was just perfect for this card. 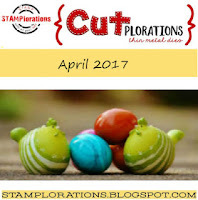 Pop on over to the STAMPlorations blog for details of how to play along with us. I started by die cutting the Typecast: Cary Numbers Cutaways a couple of times. I didn't separate the numbers, just used the whole thing as a plate. The next stage was to arrange the numbers randomly under some card, then run it through my machine with a rubber mat in place. 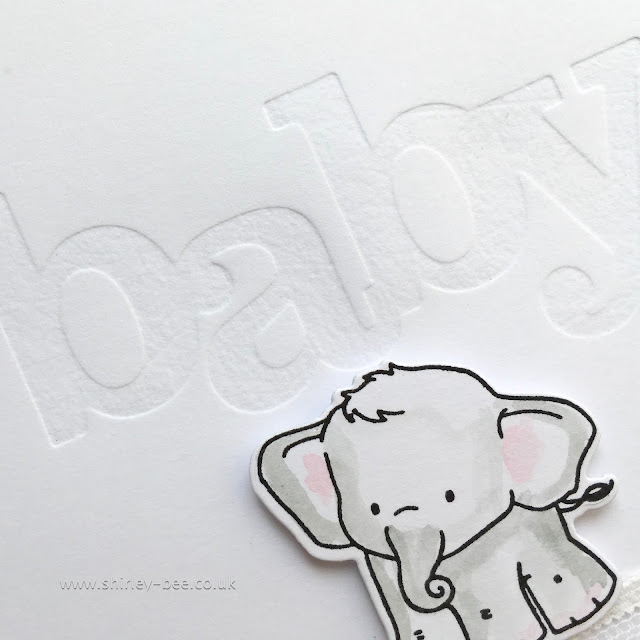 Depending on whether you have the numbers face-up or face-down, you'll get an embossed panel or a debossed panel. On this first card, the numbers are debossed, i.e. sunken. When I brayered chalk paints over the panel it left the numbers untouched by the paints. 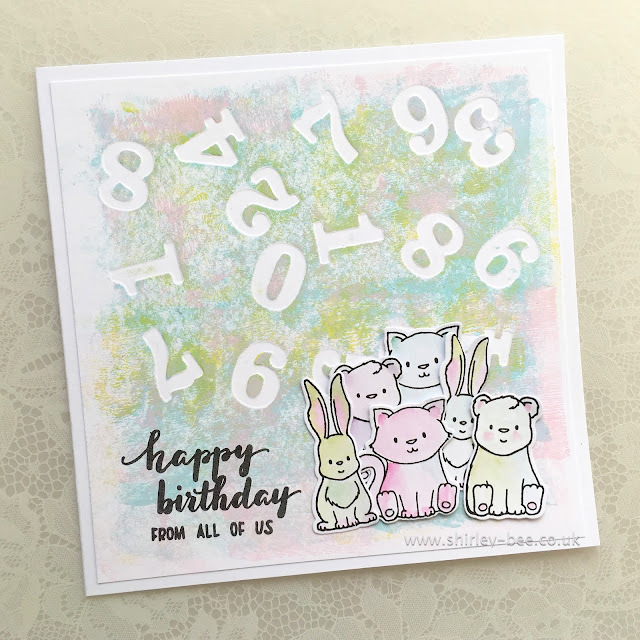 I stamped some cute little animals from Welcome To The Family With Evelin T Designs and die-cut them with the coordinating Cutaways die set. The sentiment is from the same stamp set. I watercoloured the images with colours that complemented the background panel. On this second card, the numbers are embossed, i.e. raised. Using the same brayering technique, the numbers catch the paint but the area directly surrounding the numbers doesn't get any paint, leaving a halo effect. 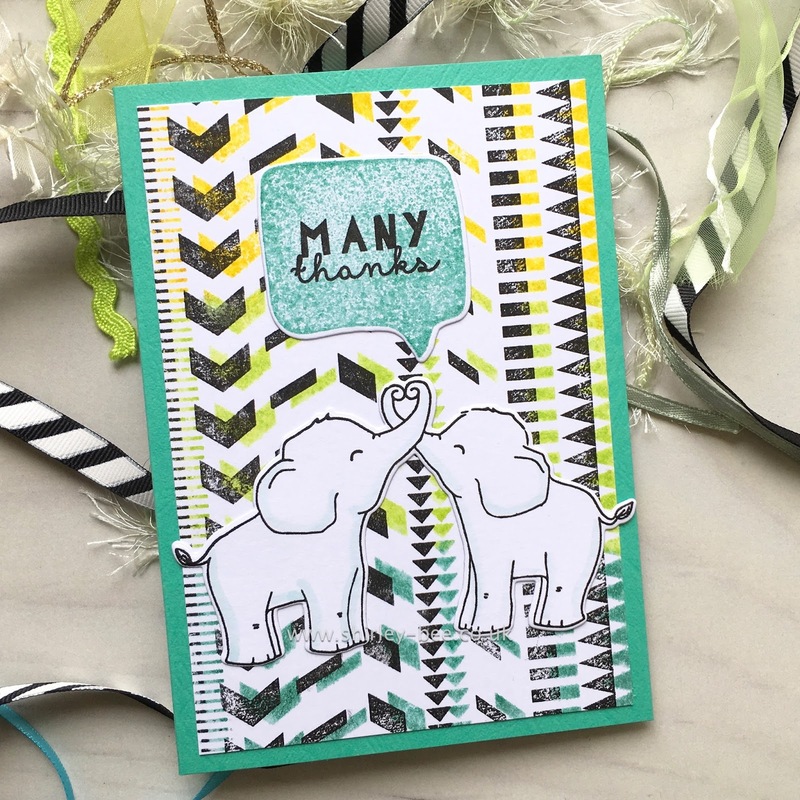 The elephant is from Big Hugs With Evelin T Designs, trimmed from his partner. He's standing on a bit of washi tape, and trumpeting his message from Sketchy Thoughts and coordinating Cutaways dies. 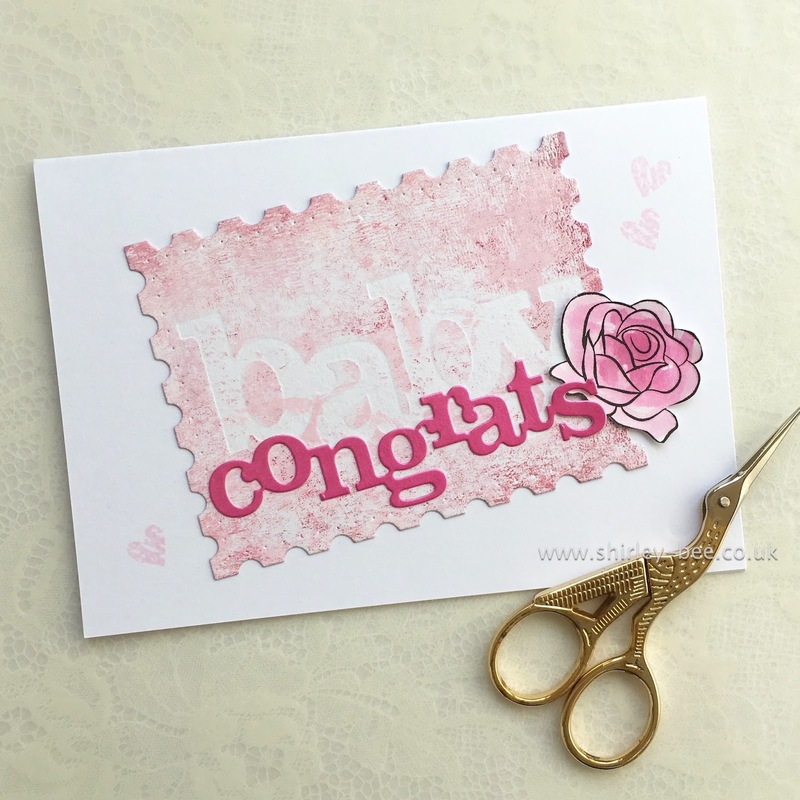 I cut the panel with the smaller postage stamp die from Essentials: Lana Cutaways set, cut the In A Word: Congrats Cutaway from deep pink card and added a stamped and fussy-cut flower from The Big, The Bold and Extras. The little pink stamped hearts are from Sketchy Thoughts. I mounted the offending panel onto white card, added some washi tape at the top, a strip of lace at the bottom, and the sweet little elephant from Welcome To The Family With Evelin T Designs. Well, that's it from me today. 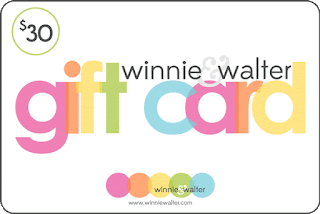 Don't forget to leave me a comment on my blog for a chance to win a $30 Winnie & Walter gift voucher generously donated by Shay. And if you haven't left a comment on my first and second posts, do it now for more chances to win! Are you playing along at Craft Stamper Take It, Make It? All you need is a polymer/rubber stamp, and you're in! Meet Very Hazel by artist Danielle Donaldson. Danielle's just released several whimsical characters in her inimitable style. Isn't she sweet? The winner chosen by the Design Team will get a profile on the blog, their winning entry featured in Craft Stamper magazine, and a guest design gig in a future challenge. Pop on over to the Craft Stamper blog for some more fabulous inspiration from the Design Team, and join in to win. 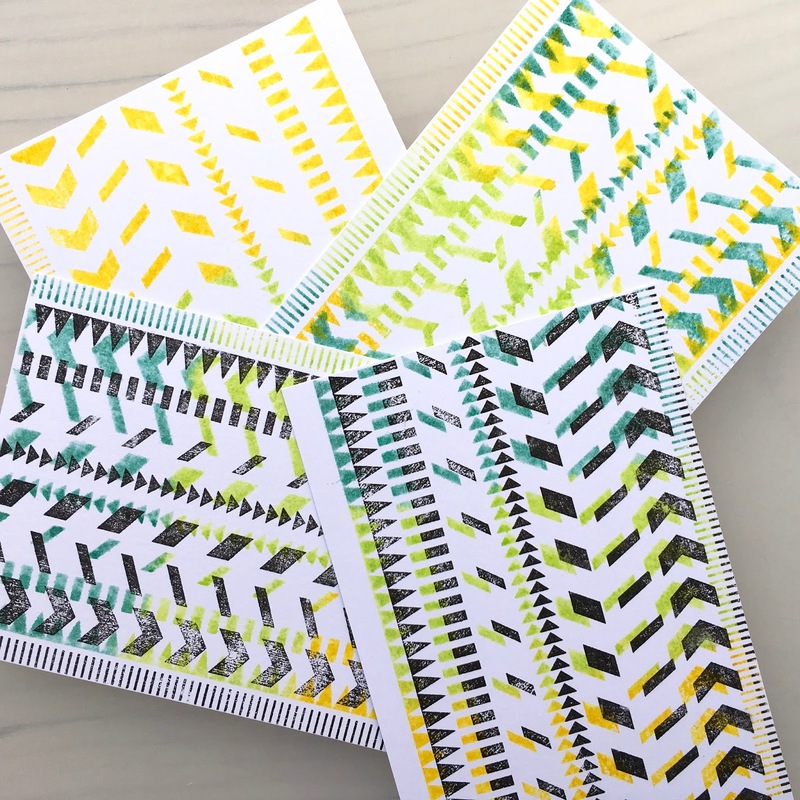 Remember - only one project in your post, include stamping, and maximum three entries. Simples! We've got a new challenge for you at Seize The Birthday, and this time it's Two Patterned Papers. My background patterned paper is actually a bit of Ordnance Survey map, but don't worry, I haven't defaced a map. I bought a pad years ago (can't even remember where from) made from old/surplus OS maps. 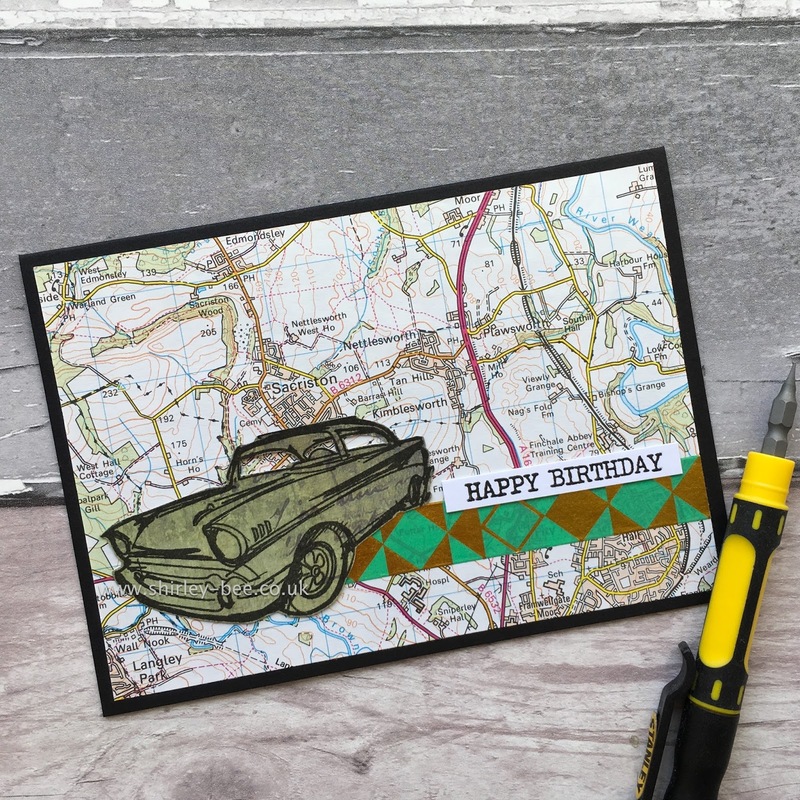 My other patterned paper is a piece from PaperArtsy where I stamped the car onto he paper then fussy cut it. Added a strip of washi tape and a sentiment, and it's done. 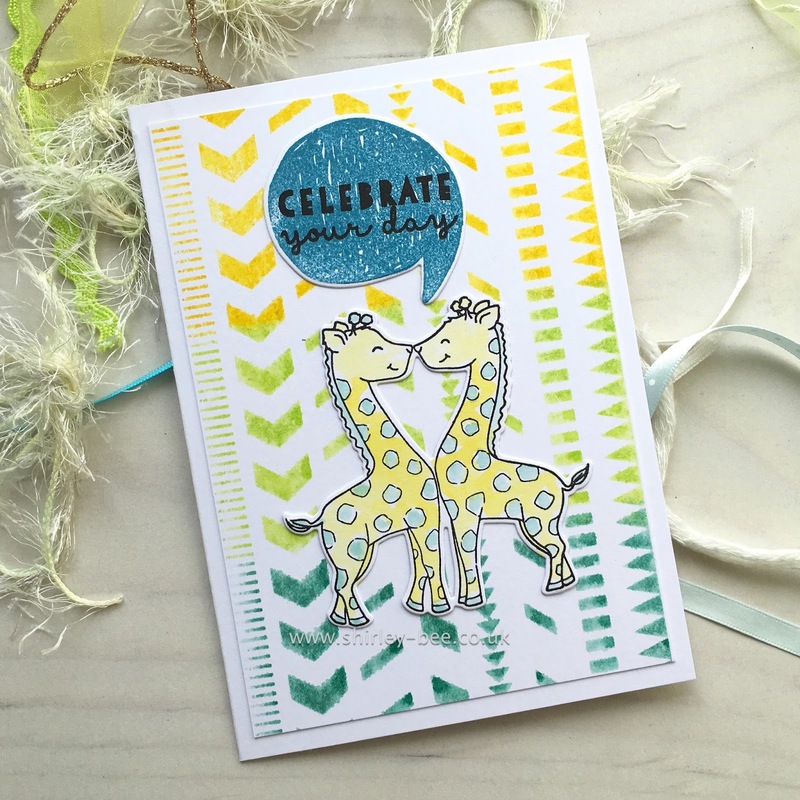 Pop on over to the Seize The Birthday blog for some more fabulous inspiration from the team. And if you don't want to use patterned papers, you can still play along with any birthday-themed creation. 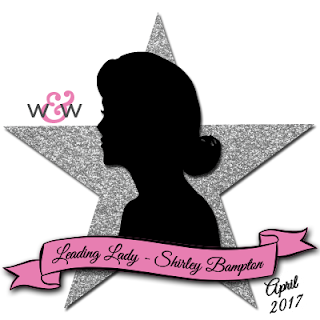 We've got some more inspiration for you in our month-long Things With Wings blog hop and linky party. Today I've used my Winged Things set. I stamped a few of the images randomly over the card (so randomly that I managed to overlap two images, so after that I deliberately overlapped some more so that my mistake didn't look too obvious). I went for bright colours (Distress Inks). No matter how neatly I intend to paint, I really can't stop myself from sloshing it on and leaving white space within the lines. Makes me happy. 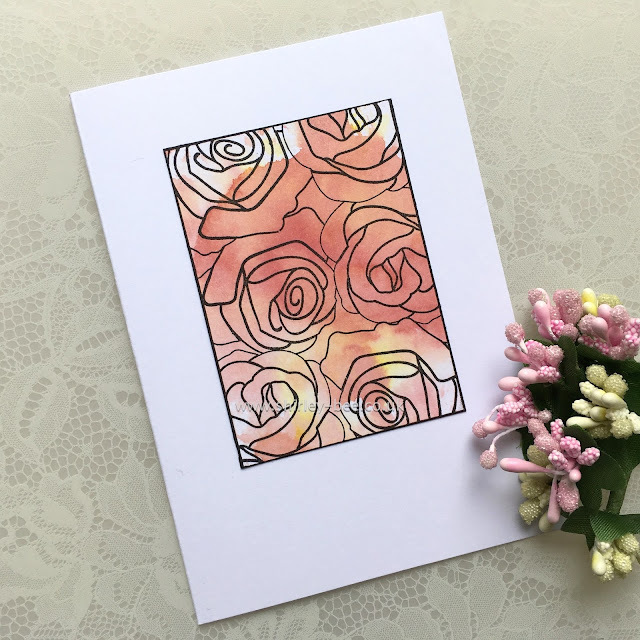 Pop on over to the STAMPlorations blog and feast your eyes on some more gorgeous inspiration, and join in the linky party for your chance at winning some fabulous goodies.